A 64-year-old male was injured after sustaining a blunt force trauma to the face by a loose crane hook. Watchstanders at Coast Guard Sector North Bend received a call at about 9:55am on Monday, October 22nd from the 334-foot F/V ARCTIC STORM. 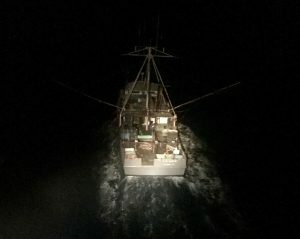 The vessel was located approximately 25 miles west of Brookings, OR at the time of the incident. 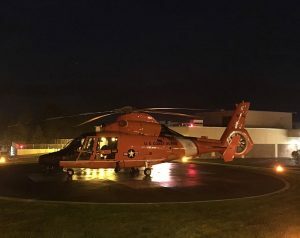 The duty flight surgeon recommended an immediate medevac for the injured man, and an MLB crew aboard a 47-foot Motor Life Boat from Station Chetco River was dispatched. 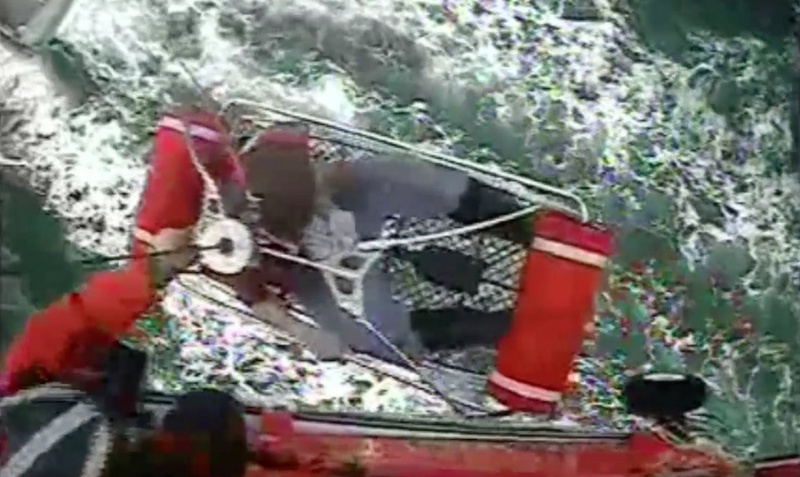 Upon their arrival, the injured crewmember was stabilized then transported ashore to emergency medical services. His condition is currently unknown. Crane hook injuries can be devastating as crane hooks are generally constructed from wrought iron or steel to create a durable device that can bear massive amounts of weight. Commercial fishing boats use cranes, crane hooks, and winches to load and unload supplies, catches, and equipment. Crane hooks can fail, cause injuries and even death due to inadequate maintenance, miscommunication, and lack of signals between the crew. Improper use, inappropriate modifications, lack of training, inadequate inspection of the apparatus, and lifting loads that exceed safe ratings may also cause accidents. Astoria is set to receive two new lifesaving Sentinel-class cutters. 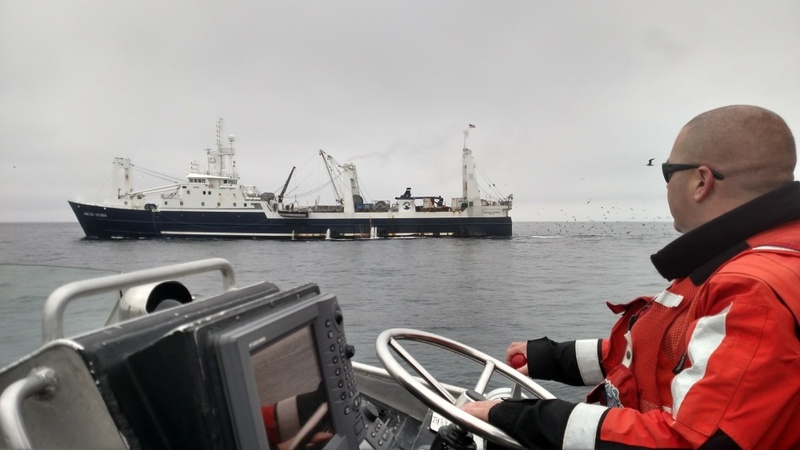 One has already been deployed in Ketchikan, the USCGC John McCormick. These are part of a Coast Guard plan to commission 58 new Sentinel-class Fast Response Cutters, replacing aging Island-class cutters. The new cutters are 154 ft. long (compared to the 110 ft. Island-class) and feature technology updates, such as weapons systems upgrades, small boat stern launch capabilities (to achieve safer and more efficient operations), and a five knot speed increase over the Island-class vessel. Command, control, communications, and intelligence systems have been updated with state of the art technology. The Sentinel-class cutter can reach speeds in excess of 28 knots, and the new small boats can reach speeds of 40 knots. The new Sentinel-class vessels are to be named after enlisted Coast Guard servicemen and women who distinguished themselves in the line of duty. 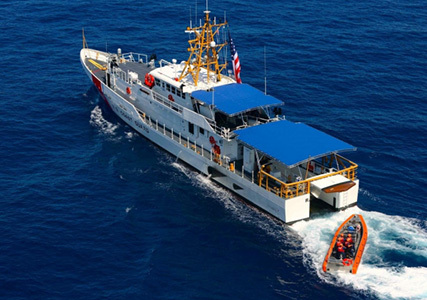 The first deployed cutter of its class, the USCGC Bernard C. Webber, is named for the Coxswain of the 36-foot wooden Coast Guard Motor Lifeboat CG 36500, which pulled one of the most daring rescues in Coast Guard history. Webber and his crew faced 60-foot seas to rescue 32 crewmen from the SS Pendleton in February, 1952. On Friday, June 24th, the group of friends were slowly cruising in their pontoon boat along the Rock River in Oregon. Statements from Phil Lukes, a passenger on the pontoon boat, and Al Overton, owner of River Road Marina, revealed that a fishing vessel appeared out of nowhere, and loudly commanded the attention of everyone near the river. The vessel struck the pontoon boat, tragically killing 31-year-old Megan Wells, who leaves behind 3 children. Nicholas Lamb, a 29-year-old passenger also aboard the boat, was transported to Rockford Memorial Hospital to be treated for his injuries. Both Overton and Lukes insisted that this heartbreaking incident be a message for all boaters to act with increased caution, and a call to improve safety measures. Two fishermen are missing and one is confirmed dead in an Oregon crab boat accident. An EPIRB signal was received late Tuesday night alerting the Coast Guard that the EAGLE III was in trouble. 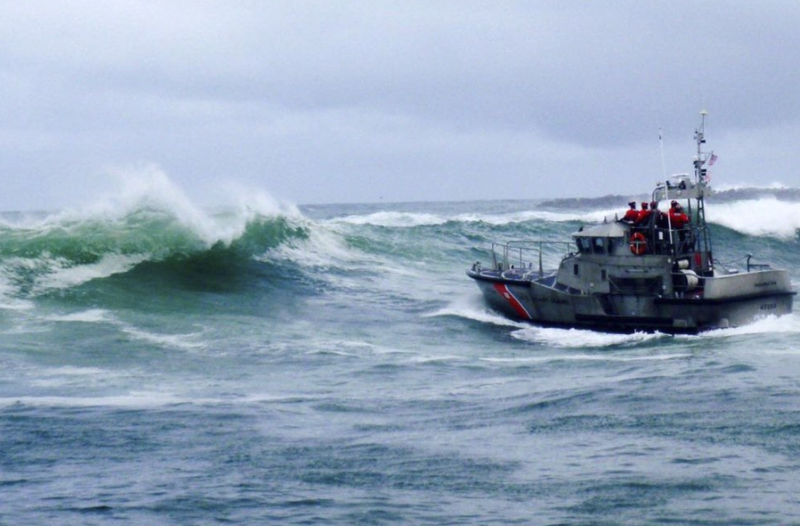 The forty foot vessel had collided with the north jetty at Coos Bay and broken apart. At the time of the incident, winds were 30 mph and seas were estimated at 8-10 feet. The EAGLE III is home ported in Port Orford, California. The Captain of the EAGLE III is reported to have survived the incident. The search has been suspended for the two missing crew. The cause of the incident is under investigation. The Coast Guard will likely investigate whether the EAGLE III was seaworthy, the crew properly trained, and whether or not navigational error may have contributed to the crewmen deaths. 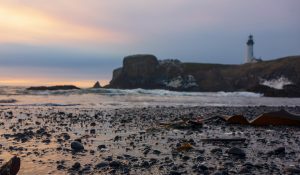 The Oregon and Washington Crab fishery has again proven itself to be one of the most dangerous jobs in the world. 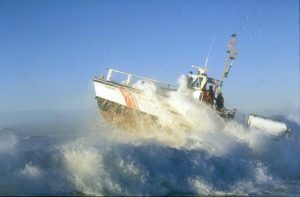 Small vessels such as the EAGLE III often face weather conditions that place them in peril.